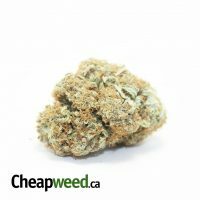 Purple Cheese is an indica-dominant autoflowering hybrid that combines Purple #1, Blue Cheese, and Lowryder. Bred by Auto Seeds, Purple Cheese was designed to have a sweeter, less cheesy flavor than its Blue Cheese parent. It does, however, inherit a tight bud structure and a high CBD profile. 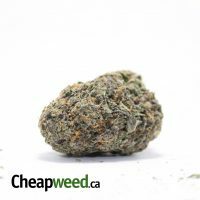 With a palatable fruit aroma, Purple Cheese delivers powerful full-body effects best suited for night owls or patients treating pain. Colder climates will bring out this hybrid’s purple hues, and for best results, growers should keep this autoflowering variety between 50-80 cm in height. If you purchase this product you will earn 16-150 Points! stinky super sticky and hits like a train. my batch was a little shakey but its fine. Heavy heavy cheese. Awesome burn and solid high. Lovely purple nugs. Amazing strain. I had high hopes for the Purple Cheese and they were fufilled. The smell is Soo beautiful, deep purple smell with an equally strong cheese oder. Vapeing this strain is just wicked. Smooth and very strong purple flavour at the inhale and a nice balanced cheese on the exhale which I thought was most wonderful. It was nice for rosin as well but found it very sappy which is not a negative, just cumbersome to work with. Overall amazing strain with beautiful purple nugz with green accents. Thanks again everyone. If you are a fan of cheese strains then this is a must! Dense purple dominant nugs and the smell is just so cheesy, amazing stuff! Sticky icky gooey purple & green buds , super happy with this purchase , will be buying again. Smells like funky skunky cheese. So dank. Sticky icky good times. Amazing terpenes looks just like the picture!! such a good taste really satisfied 10/10 highly recommended!!! Ok for you cheese fans go elsewhere as this doesnt taste like a you’re smoking a dorito. That being said what an awesome smoke good buzz really enjoyed it. Purple Cheese— Tight Frosty well trimmed buds. DANK CHEESE smell hits you first! Nice clean smoke and white ash.. Strong clear headed body buzz ! Very nice purple frosted buds with a nice funky taste and nice high. Very frosty and beautiful kush smell with a hint of cheese;) super smooth aswell definitely would recommend. 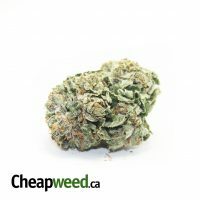 Has a nice cheese smell forsure, good sized nugs and a nice trim job! It tasted more purp than cheezy but its a really good strain. Make me a little sleepy so i smoked another one.